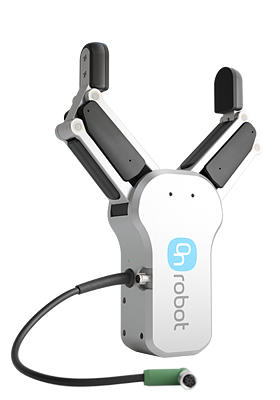 OnRobot offers a variety of end of arm tools. 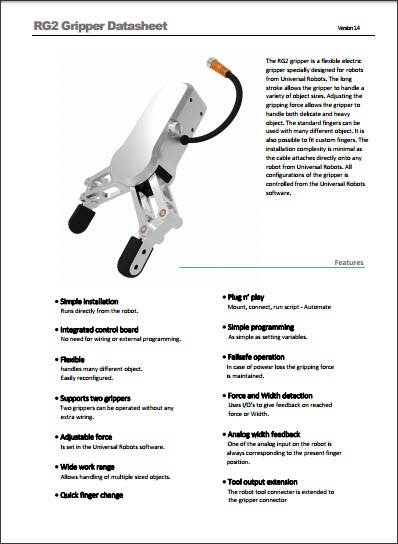 RG2 is an industrial electric gripper. It's simple to install and program. 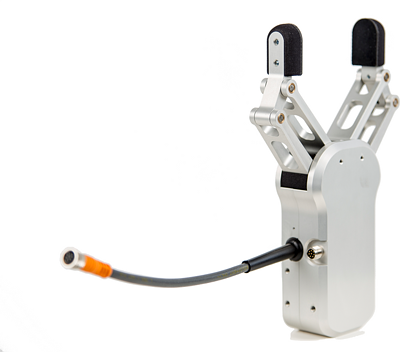 The long stroke allows the gripper to handle a variety of object sizes. 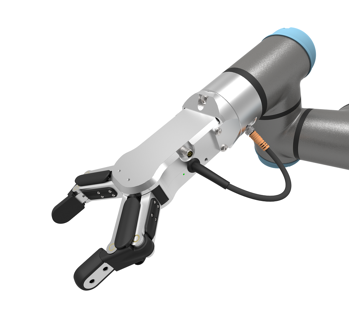 The RG2 gripper fits directly on Universal Robots. 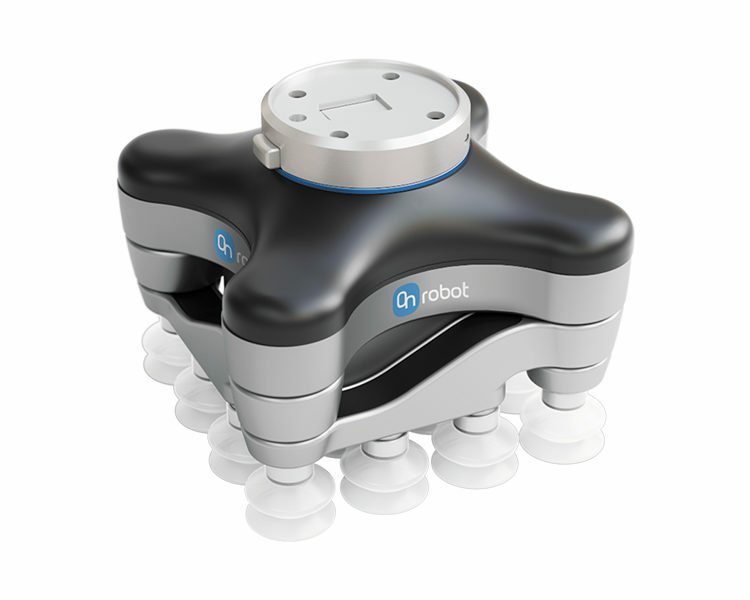 Interested in an OnRobot Gripper? Runs directly from the robot. No need for wiring or external programming. Handles many different objects. Easily reconfigured. 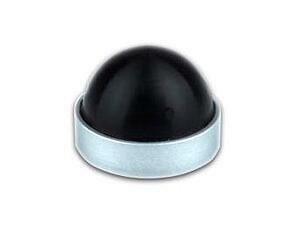 Two grippers can be operated without any extra wiring. 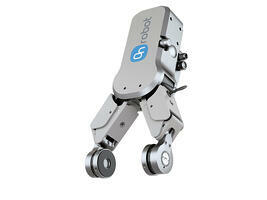 Is set in the Universal Robots software. Allows handling of multiple sized objects. Mount, connect, run script. Automate. In case of power loss the gripping force is maintained. Uses I/O’s to give feedback on reached force or width. 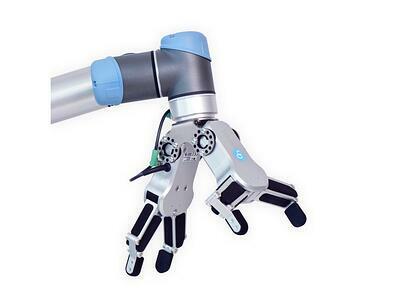 One of the analog input on the robot is always corresponding to the present finger position. 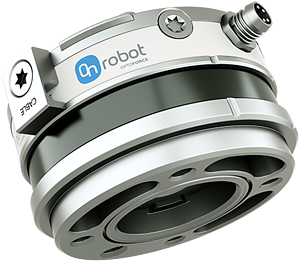 The robot tool connector is extended to the gripper connector. 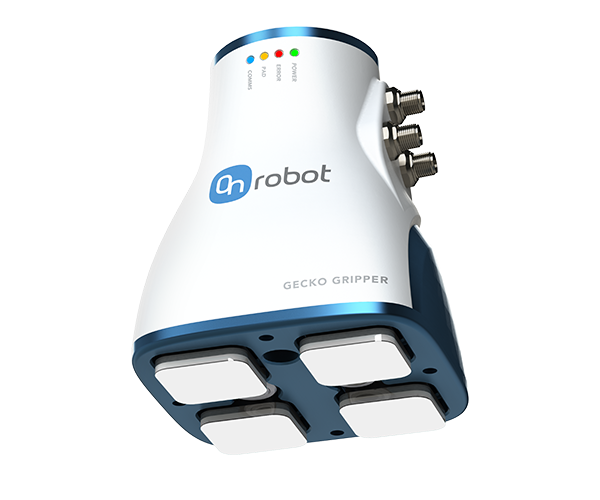 This Converter supports seamless integration of the RG2, RG6, Gecko and VG10 grippers with a wider range of robot arms. Different robot brands understand I/O signals differently. 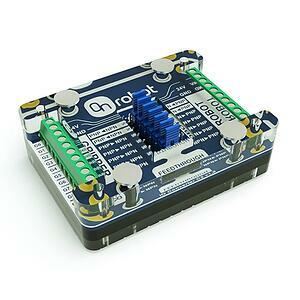 This converter lets you and a wide variety of robot brands get your signals right. 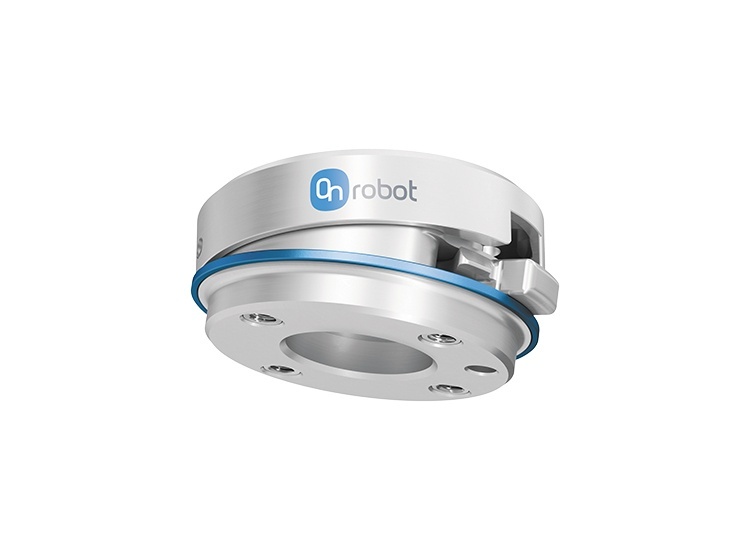 This means faster integration of your OnRobot end of arm tools, so your robots can get to work right away. Find all of OnRobot's videos on their YouTube Channel.